I have been urging my clients to start using videos to help tell their brand story and realized that I should be following my own advice. Videos are so important today to help you stand out online, tell your story, and get remembered. In fact, here’s 4 Reasons Why You Need Videos to Attract More Clients. So, I created a new video to give an overview of how we help our clients Brand Strong™. It’s not perfect. I can think of at least 10 ways to improve it but you know what? It’s done. I saw a quote online recently – “A Done Something is Better than a Perfect Nothing.” That is my new mantra. So, I can use this video as a marketing tool to start attracting my own new clients and help people get to know and trust me by seeing and hearing me talk. If you don’t want to watch the video, you can read the transcript below. Hi I’m Sue Kirchner, the founder of Brand Strong Marketing. It’s nice to meet you. I wanted to take a moment to introduce myself and tell you a little about how I help service businesses Brand Strong. First, let me tell you what I do. LinkedIn conducted a study back in 2014 and found that the #1 challenge for most small business owners is attracting customers. As a small business owner/serial entrepreneur myself, I get it. You only have so much time in the day to spend finding new customers, running your business, and servicing clients. Wouldn’t it be great if you could attract more clients to you instead of chasing them down all the time? That is what I do. I help small business owners who find marketing frustrating, to grab attention, be memorable, and attract more customers. 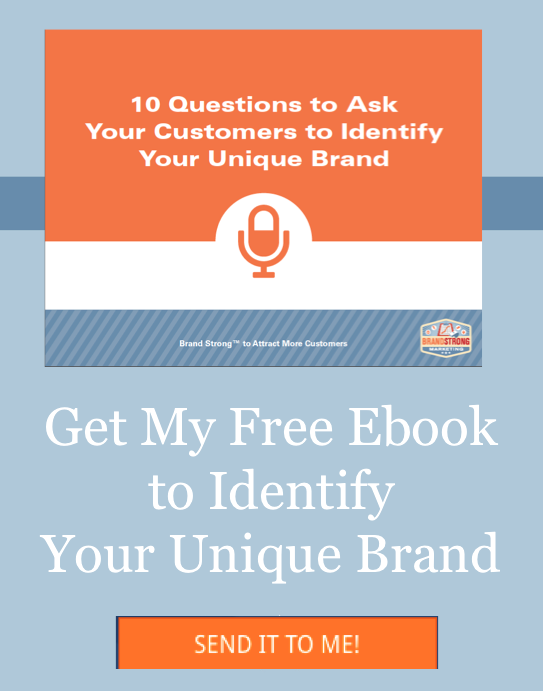 By helping you identify your unique brand and tell your story in a way that brings your ideal customers to your website to learn more. 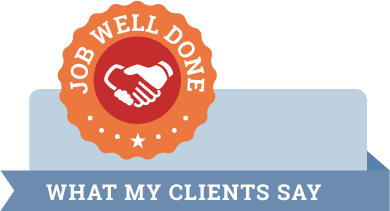 So you have an opportunity to convert them into new clients. Think of me as a personal trainer, who helps inspire, teach, and motivate you on your journey to build a stronger brand. Why a personal trainer? Because I believe that building a strong brand is a lot like exercising. It is a never ending process. You need to work hard to get strong and then keep working at it to maintain or go to the next level. I work with business owners to create a brand “fitness” plan to meet your goals, train you on the “exercises” to strengthen your brand, and even help you work out and flex your muscles when you need an extra set of hands. Whether you need help identifying what makes your business unique and valuable, getting a clear understanding of your target market and their needs, developing content that will attract customers to your site, or engaging and building relationships with past and future customers on social media I can help you attract more customers. Give me a call today at 847-963-1805 to help you start attracting more customers or if you aren’t ready yet, please sign up for my newsletter to stay in touch. I share easy to implement tips on brand building and social media marketing as well as whenever I’m offering a new workshop or webinar. In the meantime, Brand Strong! "Along with all the strategic branding work she has done for Oaklee's, Sue is also the voice behind our social media pages. She knows what our audience wants from us and has done a fantastic job engaging them and growing our online presence. If you're smart, you'll tap into her amazing marketing expertise." © Copyright 2019 Brand Strong Marketing. Brand Strong Marketing and Brand Strong are trademarks of Brand Strong Marketing.